This is a place inviting you to feel at home. 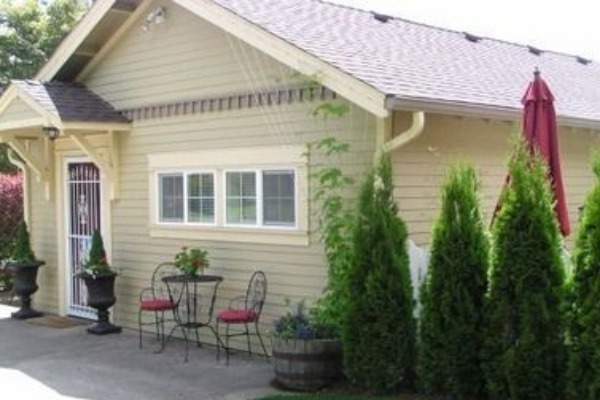 Applegate Guest Cottage is spacious and tastefully decorated. It comfortably sleeps two adults in a queen bed and up to two children in a double bed in the small loft reached with a ladder. The cottage is close to a bike path and on the Corvallis bus route, and within walking distance of a coffee shop, a doughnut shop, financial institutions, the post office, a library, a quilt shop, restaurants, wine tasting, and more.